After being focused on completing various different parkrun goals over the last few months, I finally made it back home to Riddlesdown. In the dry summer months, the course is pretty quick, the only places that slow your progress is the tight corner and very short incline, and the extra time it takes to negotiate the protruding stones in the trail section. However, now that winter is underway, the course has started to display the first signs of what is to come - mud! Some weeks it will be slippery, some weeks sticky and others it will be nothing more than a bog which would suit waders more than running shoes. And there may even be the odd week or two when the mud freezes and allows some faster times again. 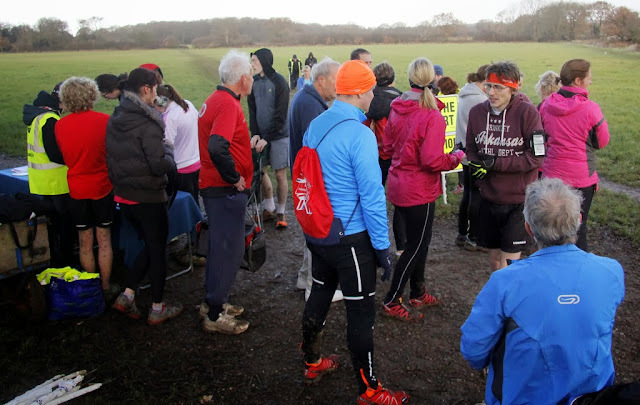 For now, at least, the ground still has some signs of solid form to it and while the course is nowhere near as fast as it can be, it was at least runnable and my feet were still dry inside my shoes - even though they were caked with mud. If you are unfamiliar with the course and want a more detailed description I'll direct you to the course description I wrote for the parkrunfans blog. 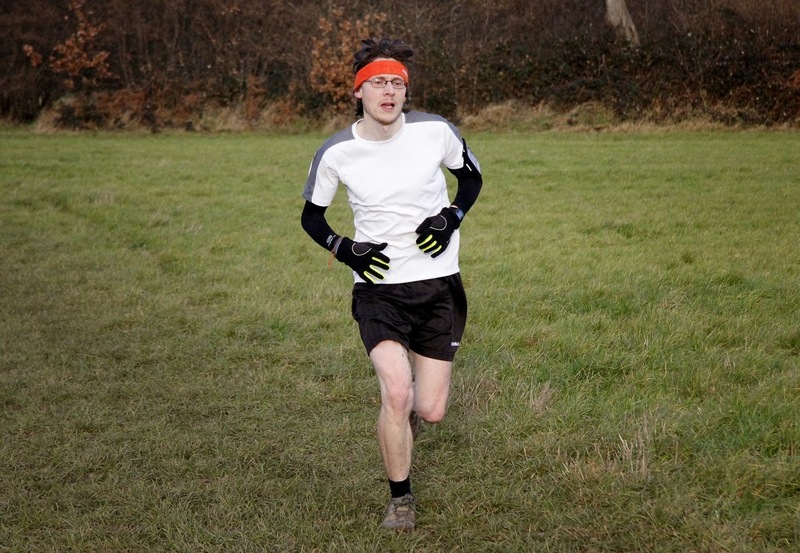 It was nice to arrive at a parkrun and not feel the need to run the whole course beforehand to take photos for the blog. Instead I could just relax and be part of the community. It was great chatting to everyone I hadn't seen since the day I collected my 100 club tee shirt back in the summer. Something that I hadn't done for exactly a year was to run a time-trial on the course, so I lined up near the front and pushed for a good time. My legs really aren't used to mud at the moment and it showed by the time I ran. I also lost my footing a few times on some of the slippery sections. 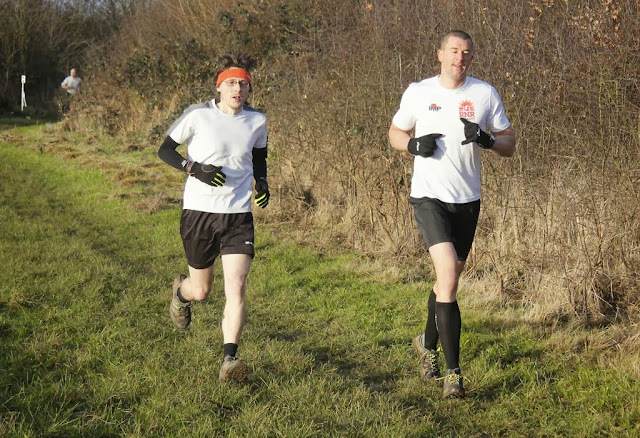 But it was still nice to put in a hard effort and set a new course personal best time for 2013. After the run, it was a case of heading over to the Horseshoe pub for more chatting and catching up with familiar faces - including lots of talk of grand New Year's Day parkrun plans, which consist of two real parkruns, one freedom parkrun and some cycling in between, which I eagerly agreed to without checking the hill profile between Riddlesdown and Banstead Woods - My thighs are burning already!